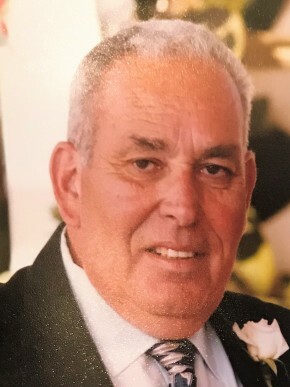 James A. Mondelli 75, of New Milford, NJ passed away on Saturday May 12, 2018. Born in Brooklyn, NY, he was raised in New Milford where he resided for over 60 years. He was a parishioner of St. Joseph RC Church in Oradell. James will be remembered best for his love for family and friends and will be missed by all who loved him. Prior to retiring in 2003, he was the owner/operator of National Limousine Service in New Milford for over 25 years. Beloved husband of Dorothy (Callandrillo) Mondelli. Loving and devoted father of Todd Mondelli and wife Amy and Ann Marie Feret and husband Kirk. Cherished grandfather of Jason Mondelli and Gabriella Feret. The family will receive relatives and friends Tuesday, May 15, 2018 2-4 & 6:30 - 8PM at Vander Plaat- Caggiano Funeral Home, 13-31 Saddle River Road Fair Lawn, NJ 07410 (201) 797-3500. Cremation will be private. In lieu of flowers, donations in memory of James may be made to the American Diabetes Association NJ Office, CenterPointe II, Suite 103, 1160 Route 22 East, Bridgewater, NJ 08807. We were saddened to hear of Jimmy's passing. Our sincere condolence to the Mondelli family. May Jimmy Rest In Peace. My condolences to the family, our prayers include James and all those he touched.